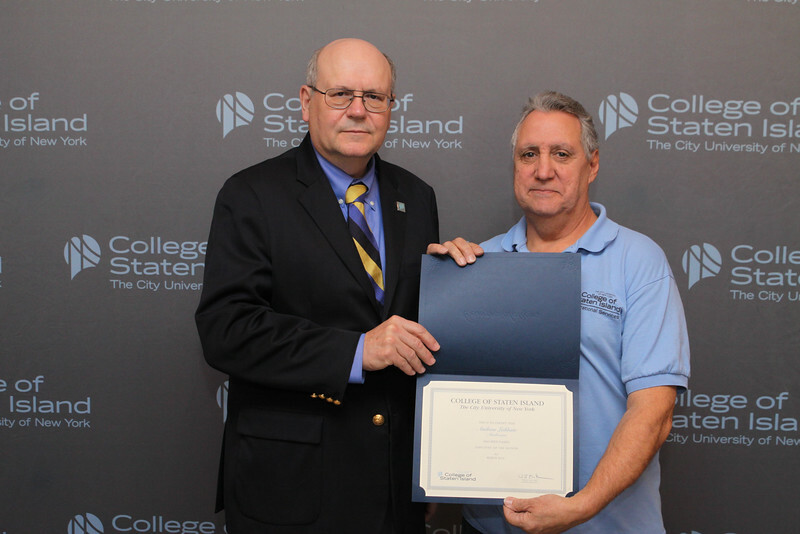 Andy is a College Assistant in Operational Services reporting to the mailroom and has been nominated for Outstanding Job Performance. Andy is a dedicated and loyal employee of CSI. He is a team player and assists staff where needed, which often extends outside of the mailroom. His upbeat demeanor and sense of humor helps to liven up Operational Services. Andy recently retired from the Post Office and continues to enjoy working at CSI. He goes above and beyond by volunteering to switch his shift to help out the work flow or to cover when others are out.